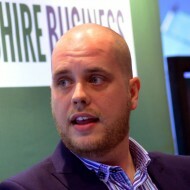 Daniel Ionescu is the Managing Editor of The Lincolnite, Lincolnshire Reporter and Lincolnshire Business. He co-founded publishing company Stonebow Media in 2010.
Business Week: Batten down the hatches, 2019 is here! Business Week: The 4-day working week – Can it be done?